. 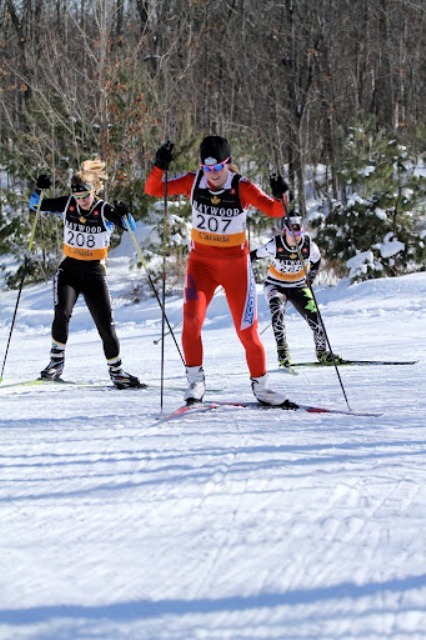 : Easterns 10/15km skate :: Ski XCOttawa.ca :: Skiing in Ottawa and Gatineau Park :. After the sprints on Friday, XC Ottawa was back at it in the 10/15km interval skate start on Saturday morning. 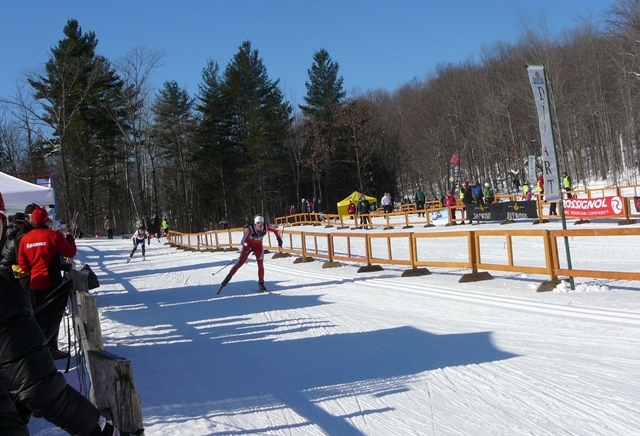 It was possibly one of the biggest fields Easterns had ever held, with 150 men, and 100 women starting. With 30 second starts, the open men category took well over an hour to complete all the starts, making it a long day. Once again, Nakkertok excelled at hosting a great event. With friendly volunteers and perfectly groomed trails it was hard to keep a smile off your face throughout the day (except when climbing hills and reaching into very high lactate levels). The day started off a bit chilly in the morning, but turned into some nice, warm weather by the time the racing started. Deep within the top-secret Suuronen waxing lab, John decided on his weapon of choice for the day: Vauhti LF graphite, followed by Vauhti HF blue, topped with a Vauhti Blackfox block. He picked an excellent choice (as always) because our skis were very fast! In the open men, Lee Hawkings set the time of the day for XC Ottawa, with a 18th place finish, just 2 minutes behind the leader. Close behind were Karl and Matthias, finishing 25th and 31st respectively. 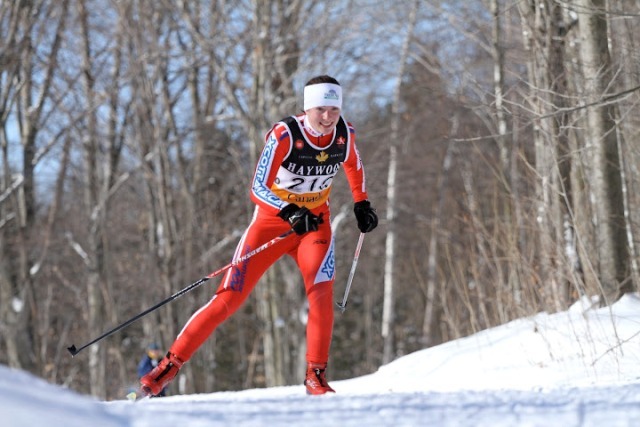 Kyle, Peter and Andre rounded out the men's team, placing 38th, 44th, and 52nd. In the women's 10km, Megan stole the spotlight with an impressive 6th place finish, just one minute off the leader. Next up was Sheila in 19th. Vesta, Ingrid, and Kyla all finished very close, with 9 seconds separating them between 23rd, 24th, and 27th. Anna and Katie rounded out the field placing 56th and 74th. Thanks to all the great volunteers who helped out with Easterns over the weekend; it is always much appreciated! Another big thanks to John S, Alicia, Steve, and John L for waxing our super-fast skis. Here are some pictures of the women's race, courtesy of Bernard Pigeon. Unfortunately, our guys were so fast that they could not be captured with any camera. For more pics, check out the Easterns web page. Katie leads a pack up the hill. Ingrid skiing through the stadium. Stayed tuned for the update of the grand finale of Easterns coming soon! Race Report: Time Trial and a classic “Juice Head” Show Down!